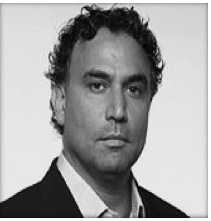 Marwan Bishara is a political sociologist and the senior political analyst at Al Jazeera English. He was previously a lecturer in International Relations at the American University of Paris and a fellow at the Ecole des Hautes Etudes en Sciences Sociales. He is the author of The Invisible Arab, Palestine Israel: Peace or Apartheid, and other works focusing on the US foreign policy and the Middle East. Dr. Bishara is currently working on US Patron-Client relations in the Middle East. Follow Us. Make a Difference. The Galilee Foundation is registered in England and Wales under charity no. 1118966 and company no. 06037771.